This is spectacular! 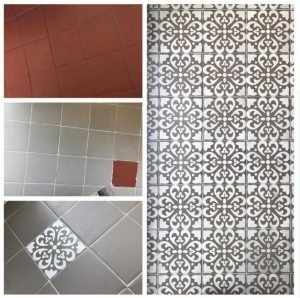 An Annie Sloan Stockist named Josh Mintoft who owns Martha Heritage in Sheffield – transformed his old tile that was a terra cotta red to something current, fresh and very clean looking! Josh cleaned his floor well and followed up with an additional rinse of fresh water to ensure there was not soap residue left behind, or any dirt. He then made sure the floor was totally dry before he began. Especially, in the grout lines. 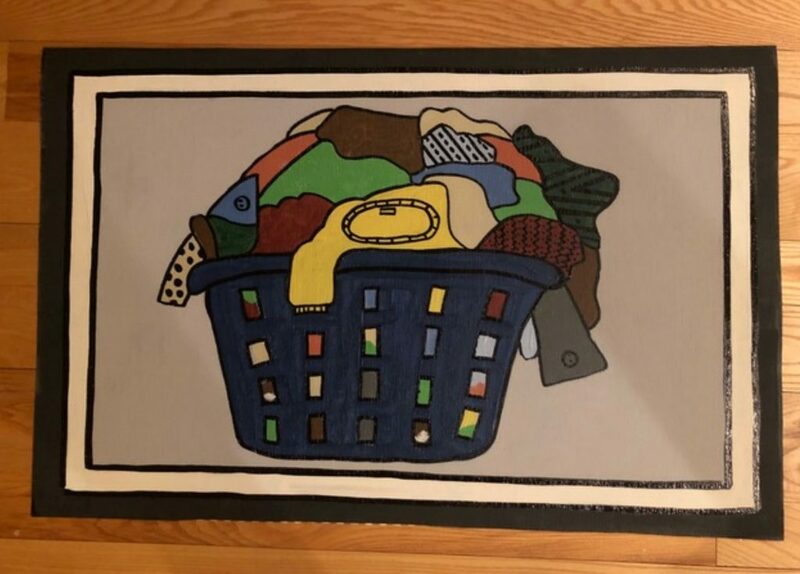 First- he painted in the grout lines with white. 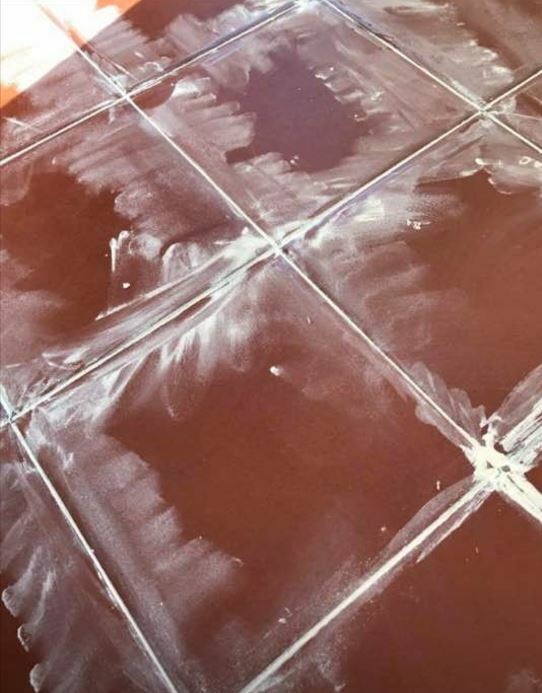 Once the white on the grout was dry- he began to use the French Linen Chalk Paint® by Annie Sloan to cover the bulk of the tiles. 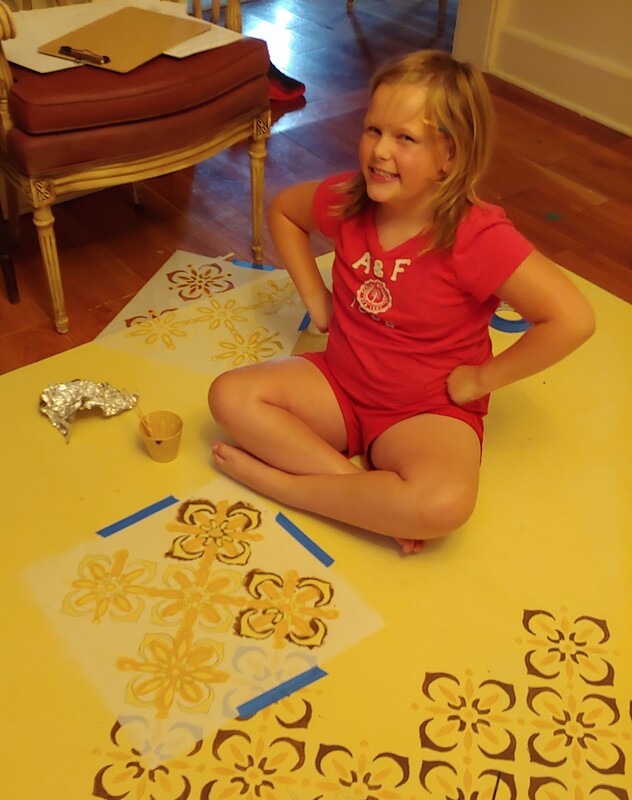 He was not too concerned about if he accidentally covered some grout with the French Linen Chalk Paint® by Annie Sloan because he knew once he added the stencil…there would be enough movement- no one would really notice! Josh stated he used a brush, and managed to get away with one coat generally of the French Linen – but touched up in places. Then he stenciled and applied the Lacquer. 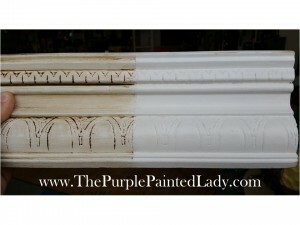 Here is some important information about using Lacquer since it does NOT behave like paint. It is critical you read and follow the instructions we provide!!!! 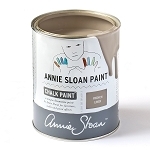 If looking to purchase Annie Sloan products- we are here to help you! 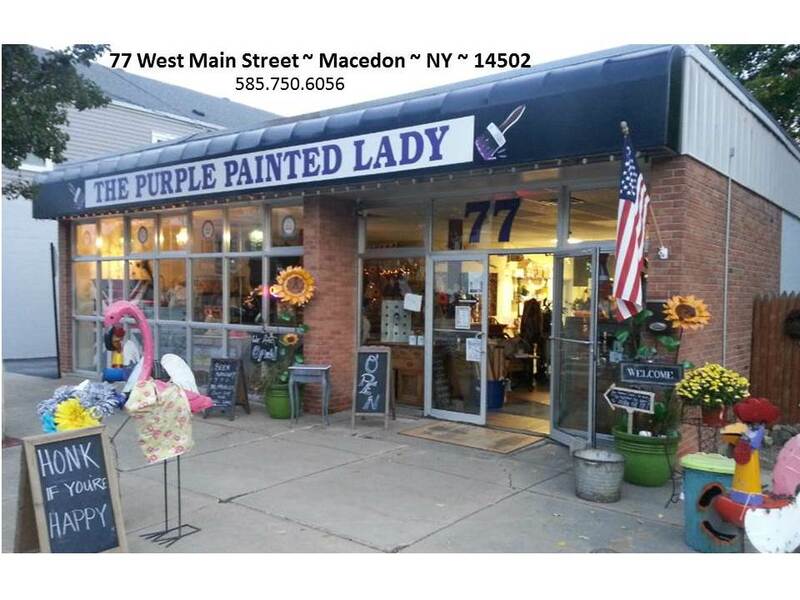 Both on-line OR at one of our four locations in NY! 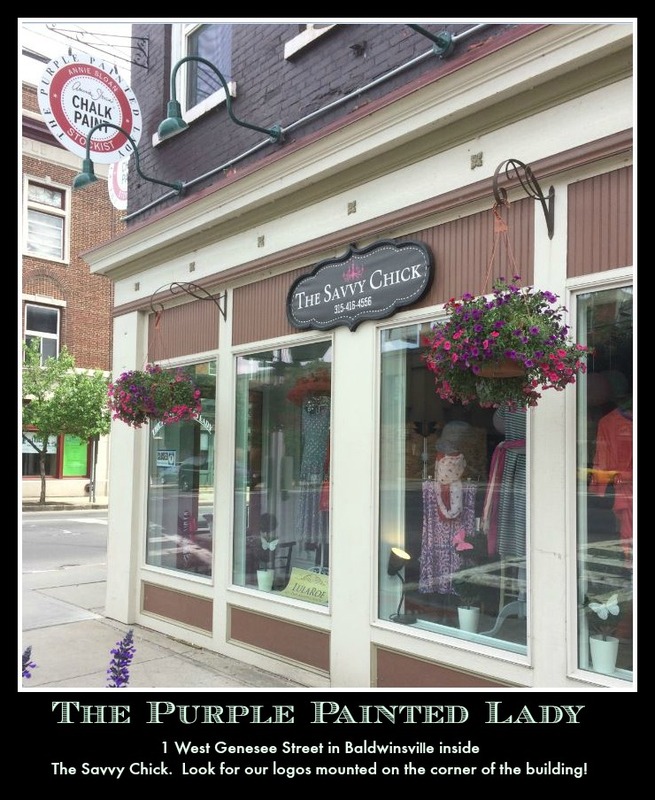 The Purple Painted Lady® (please LIKE my Facebook page by clicking on my business name to the left) loves hearing from all of you on the projects you complete after we coach you through with instructions. And just a quick disclaimer….There is significant prep (cleaning and rinsing) prior to this type of application! 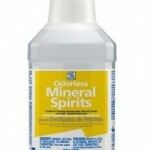 ALWAYS – always do a fresh water rinse after using cleaning agents on the tile when cleaning PRIOR to painting. Bathrooms get hairspray, body moisturizer, toothpaste, little boy messes, make up, etc. 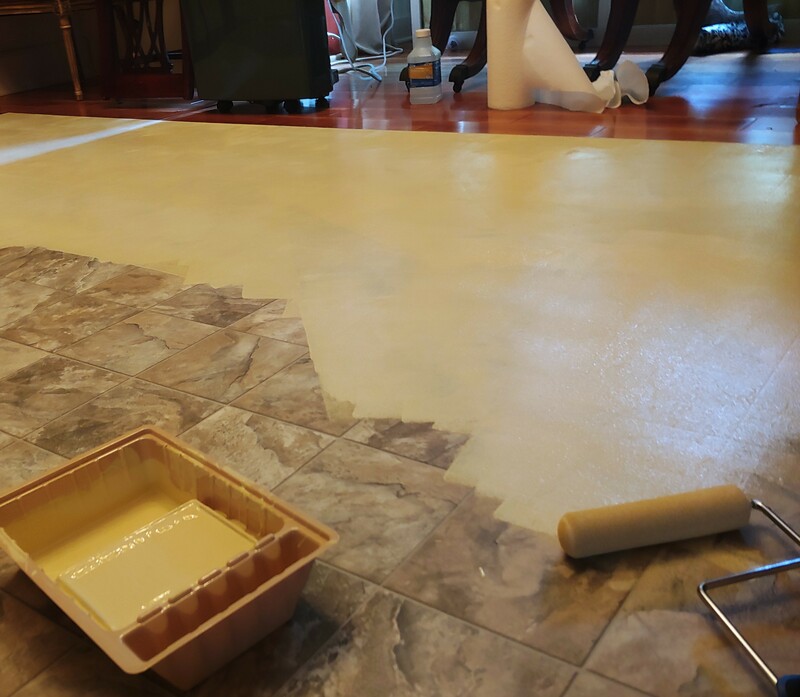 CLEAN that floor and rinse it well before painting! 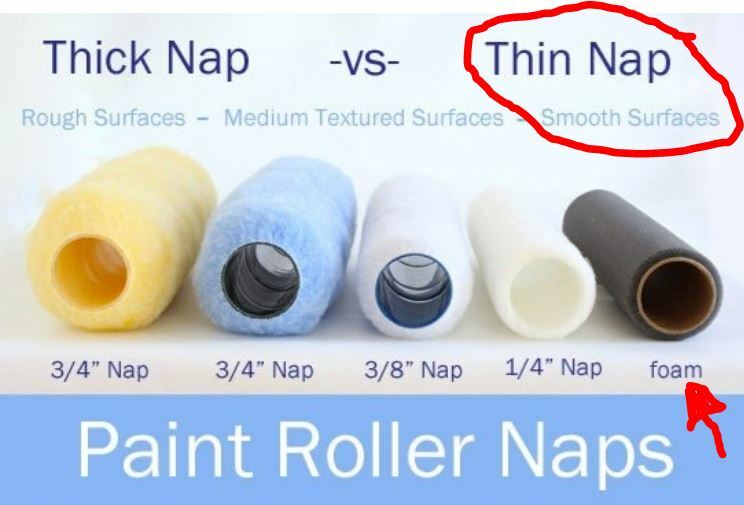 (rant over) Also- this is NOT intended for anywhere IN the shower area. Inside the tub (peach) and tile surround was peach and peach/brown stripe. 6. 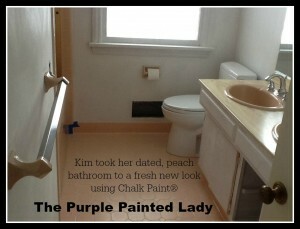 Initially I was not going to paint the floor and just leave it peach. 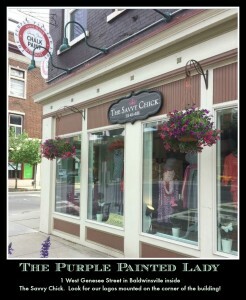 But after talking with Trish at The Purple Painted Lady®, I changed my mind and decided to give Annie Sloan chalk paint® a chance. SOO glad I did. 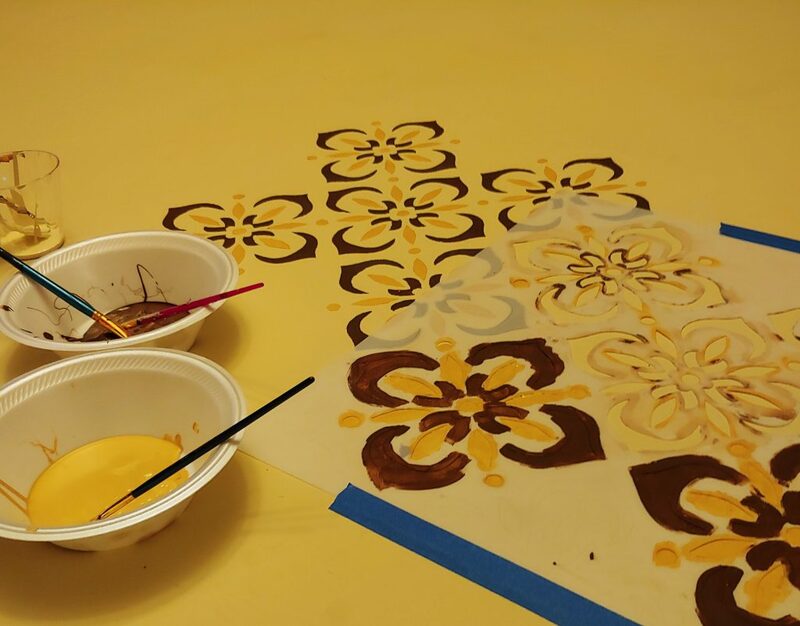 I mixed the paint using 2 parts Pure White to 1 part French Linen. 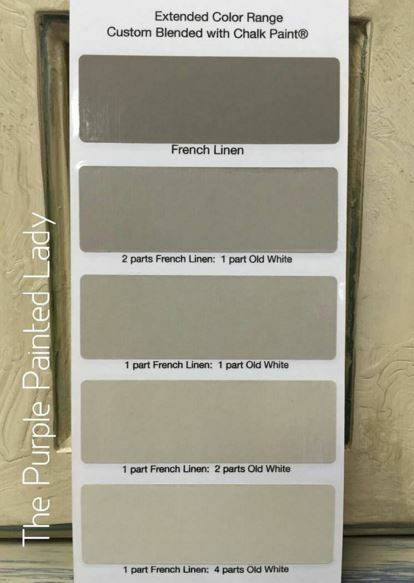 Unmixed, the French linen was almost a perfect match to the color of my cement counter top. A bit of contrast was needed so I mixed it with the pure white. I let all of this dry overnight to make sure the floor was completely dry. I also taped around the top of the tile, tub and toilet. Although I’m an experienced painter and typically do not tape, it was an essential step this time. 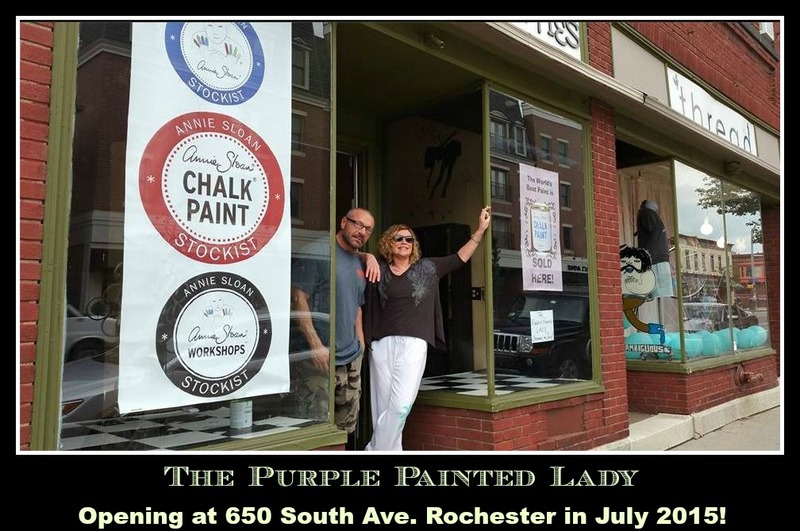 In total, I applied 3 coats of paint (1 and 2 were thinned with 25% water) and 2 coats of Annie Sloan’s Lacquer (first was thinned with 10% water- FOLLOW THE LACQUER INSTRUCTIONS YOU GET FROM The Purple Painted Lady). Coat 1 of paint was left to dry for 24 hours before painting coat 2. 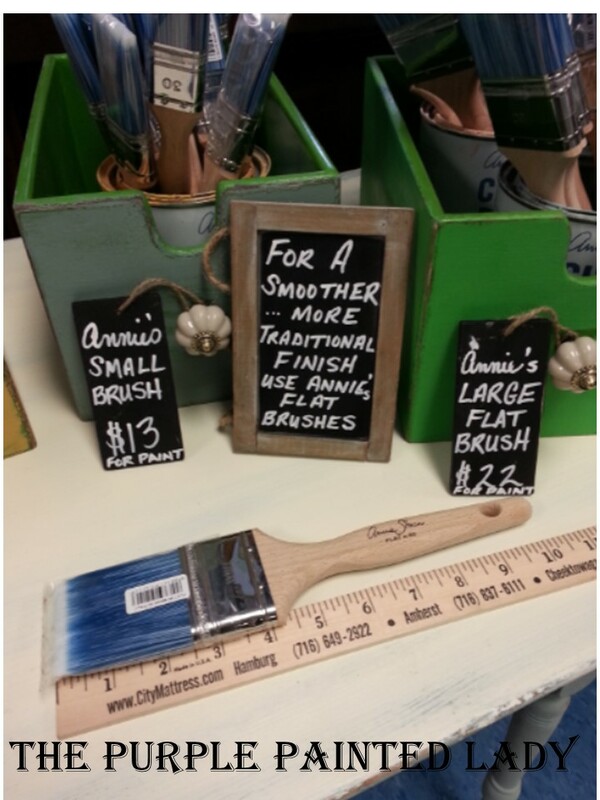 And use that blue Annie Sloan brush to apply! I used both foam roller and a brush for the painting and lacquer. 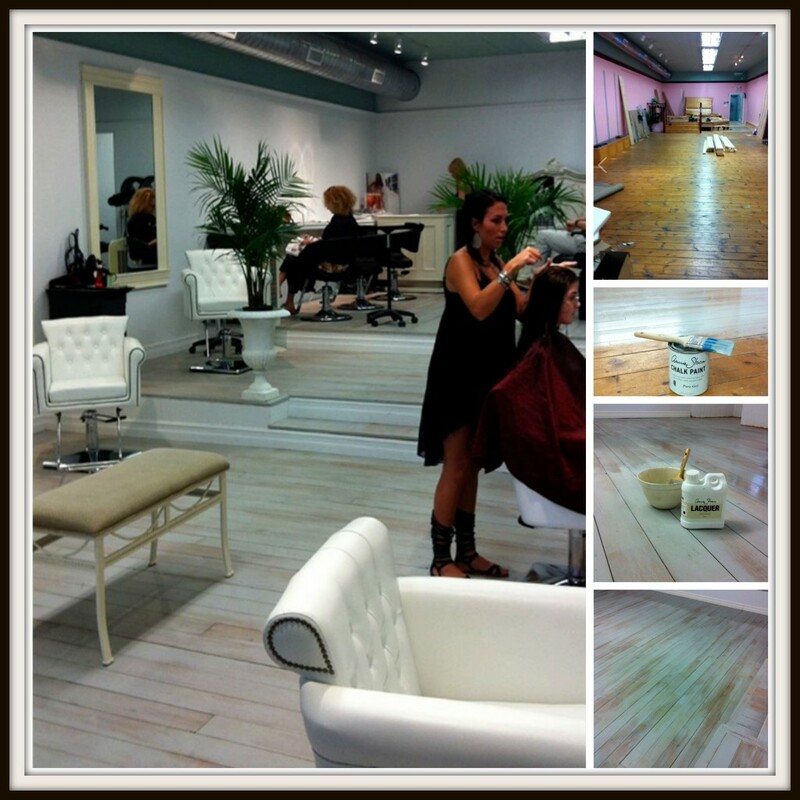 The brush was used on the base tile while the roller was used on the flat floor. 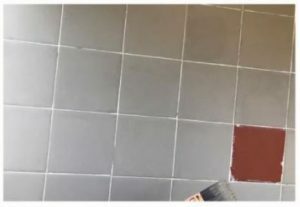 The photo above shows where I sanded the tile (50 grit paper using an electric sander) and 1/2 of the area I had started to repaint. I believe the paint didn’t stick due to 2 things. 1. The base title was very slippery. Even with sanding it still had a sheen. 2. Blow back from the tub being sprayed. Although everything was covered, I’m sure there were petroleum substances on the floor. 4. Used a foam brush to paint the grout lines before putting a coat on the entire floor. 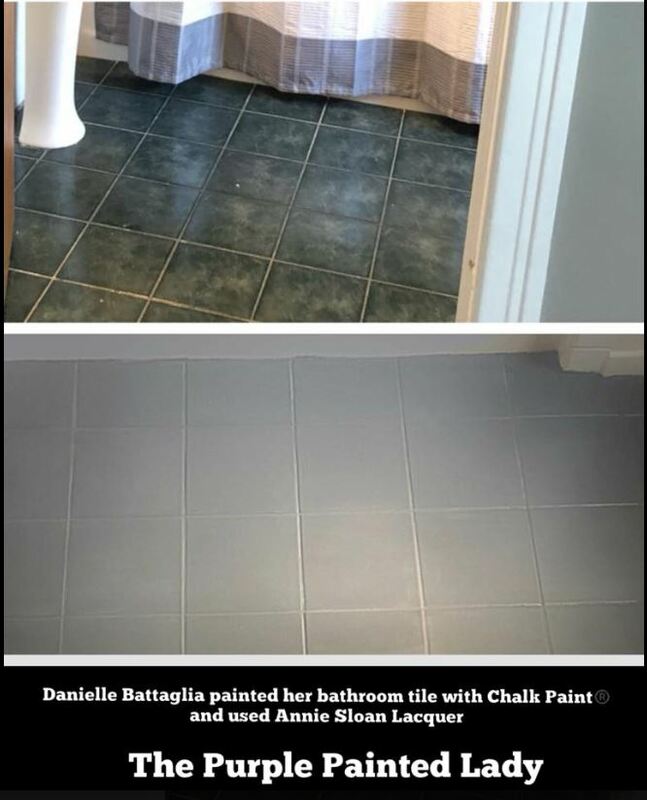 The roller didn’t really push the paint into the grout lines. Here is a picture of the finished bathroom. Colors are a bit hard to discern. I had to take the photos at night as the bright sunlight washed out all the pictures. Please know that I am very happy with the final results!! This paint was awesome. 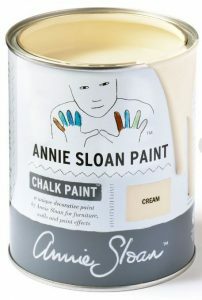 I would however recommend that this type of project NOT be anyone’s first with Annie Sloan’s paint. Although my results were fantastic having some experience would have made this job easier on my nerves! 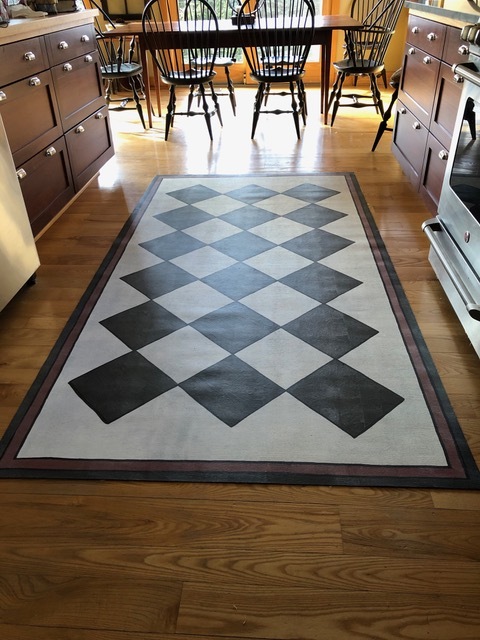 We think this project turned out amazing! 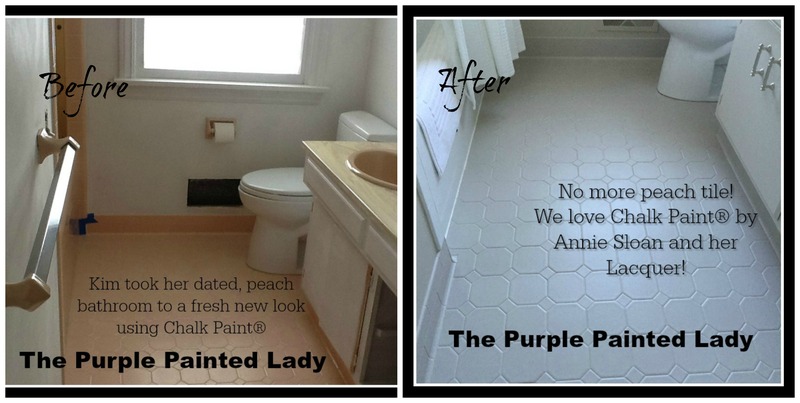 The Purple Painted Lady® LOVES seeing “before & after” photos from her customers! And in fact- we always send a thank you gift if we use your images and story. 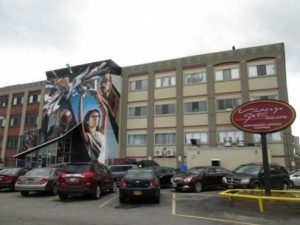 So, please feel free to share your photos and a little write up by emailing them to Trish at takuntz@rochester.rr.com! Remember to include a few details of your project, any tips/tricks that you like to do that help you, or even something you learned through the process that another person could benefit from! 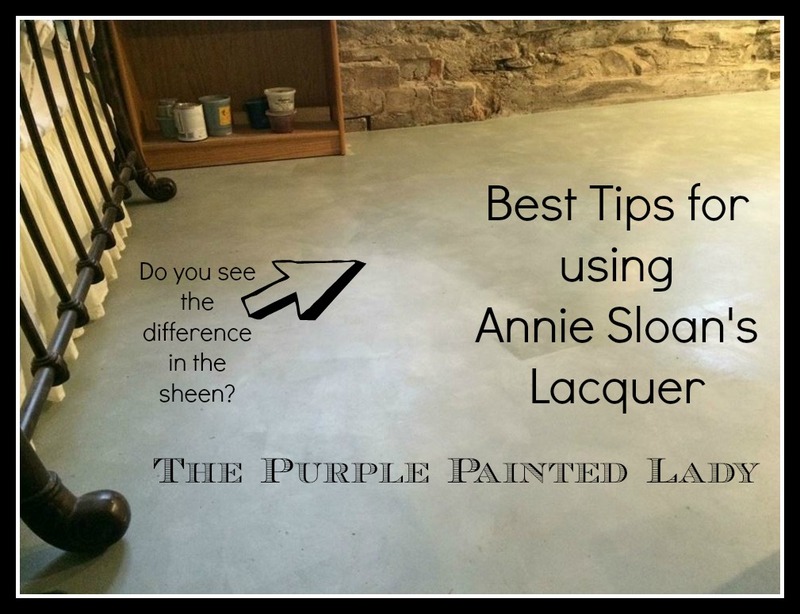 Using Annie Sloan Lacquer – Important Tips! 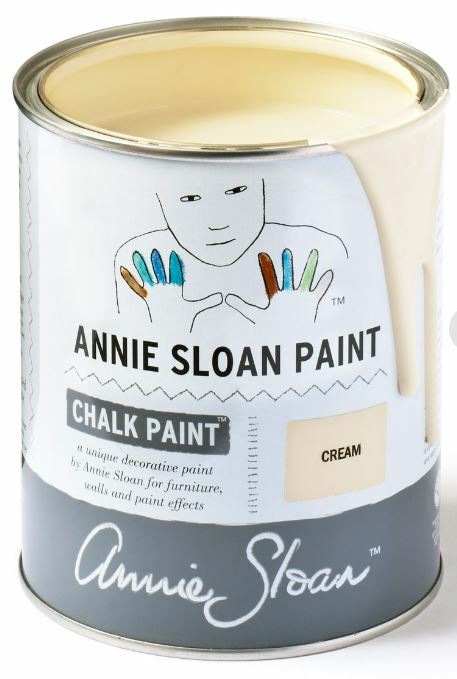 If you are considering using Chalk Paint® decorative paint by Annie Sloan on your floor, no matter if it is concrete, linoleum, slate or wood – you will want to protect it using Annie’s Lacquer. If you own a container of Annie’s Lacquer and are going to use it and are reading this prior, go now and flip it upside down and let it sit like that the whole time you read this! It will get the flattening agents at the bottom of the container loosened a bit! Ok…….here we go! Using Lacquer however, is NOT like using or applying paint. There are some special steps and directions you should be aware of BEFORE opening your quart and using! First and foremost- one thing I want to drill home is that if you OVER brush your Lacquer when applying – it will look bad! Often you will get a white haze – professionals call this “flashing.” Moisture and humidity can cause hazing, blushing and Whiting. So, use the product at room temperature and if you are going through a serious wet season with lots of rain…consider waiting till the humidity levels are more reasonable. 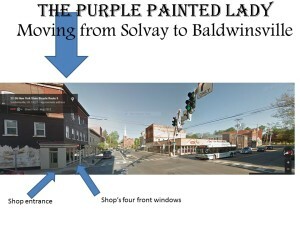 If you purchased Lacquer from The Purple Painted Lady®….we included instructions…READ THEM CAREFULLY! We suggest adding about 10% water to your first coat only. 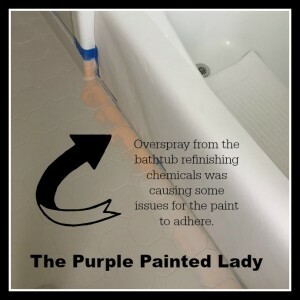 If you do NOT add water to the first coat – like we direct- it can look bad! Annie Sloan Lacquer is a clear matte water based varnish. 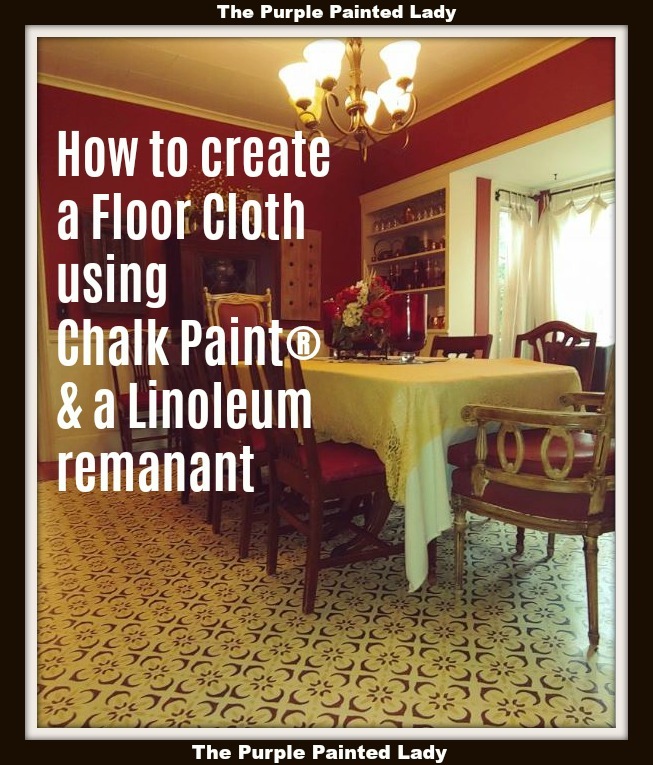 It is a strong penetrating Lacquer meant to be used over wood, linoleum or concrete floors painted with Chalk Paint® for interior use. (in other words- Note- this is not recommended for outdoor use.) It is the penetrating characteristic which makes it so hard. Also- since it is strong penetrating Lacquer…. 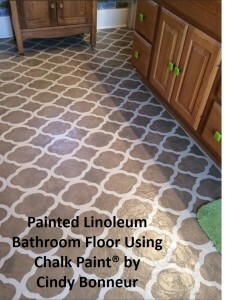 if painting over an old wood floor, you may want to consider doing a test spot painting and sealing the floor in an inconspicuous area to confirm that the “strong penetrating Lacquer” does not pull up wood tannins or yellow hues up through your paint – especially is using a “white” Chalk Paint®. If it does- then you may want to consider sealing your floor first with Zinsser bullseye Shellac. 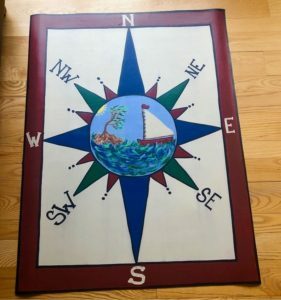 Whether your paint is applied as a wash or applied solidly with a foam roller, this robust lacquer will seal it perfectly when directions are followed. Always be patient when mixing your Lacquer! Flip your container upside down and let it sit like that for a few hours, if possible. Take your time once you have opened it and get a sturdy paint stick and scrape all the way to the bottom to mix in the flattening agents. Flattening agents can appear a bit sludge-like. KEEP MIXING ….you will eventually incorporate it all! YOU CANNOT RUSH THIS PROCESS! Always apply lacquer in thin coats. If applied to heavy and thick, clouding will result. Often customers will state after the first coat they see some slight lines in the lacquer if using a roller, but after the second coat is applied- it looks wonderful. (just sharing this so you do not panic) No need to sand in between either! Again, the lacquer will slightly darken the paint beneath it. 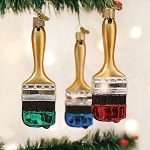 The varnish is quick drying, non-toxic, low odor, and non-yellowing. The lacquer will give you a very durable scuff resistant finish. Note though, it is not recommended in areas where there will be a lot of water. So, if using in a bathroom, plan on toweling up wet floors so there is no standing water for long lengths of time. Annie’s lacquer is ring resistant- meaning it can tolerate hot cups. It is also resistant to alcohol spills, which if using wax as a top coat- is not. However,… ‘resistant’ doesn’t always mean ‘proof’ …as in alcohol proof or like water proof…….. even resistant gives way from time to time … just ask my Spanx. Before use, turn the container upside down for at least 1 to 2 hours since all the “good materials” that may have sunk to the bottom can get well incorporated again to the top and well dispersed. Also, this product should be stirred BEFORE AND as well as during using it. DO NOT SHAKE the container of Lacquer since this will cause bubbles to form in the varnish which you do not want to happen! It is best to gently mix the lacquer by rolling the containers around in your hands or pouring the contents into a bucket to stir. If Lacquer is not thoroughly stirred, the finish will be shinier due to the fact that the flattening agents weren’t completely mixed in. Note that the thick stuff at the bottom of the quart is the flattening agent, and that needs to be totally incorporated …So, be patient and mix it well….which if yours has settled, could take a good ten minutes. It is advised to add about 10% additional water to your FIRST coat only. Second coat should be FULL strength- NOT watered down. 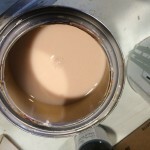 We recommend full strength for the second coat because most people do not batch their product, so if one container is mixed with 10% water and another is mixed with, let’s say, 15% water there will be a difference in sheen. The more water that is added to Lacquer the lower the sheen level becomes because the flattening agents are dispersed over a greater volume of product. A full strength coat helps to guarantee that the amount of flattening agents will be consistent throughout the project, therefore the sheen level should also be the same. IF BATCHING ALL OF YOUR LACQUER INTO ONE LARGER BUCKET: However, should a customer decide to batch the product first and then thin with water, that would be okay but they should be aware that it will lower the sheen. Something to understand when using Lacquer is that it does not want to be back stroked. Confident strokes in one direction for an even sheen is extremely important because varnishes do not like to be back brushed. This can cause flashing…meaning an uneven finish. 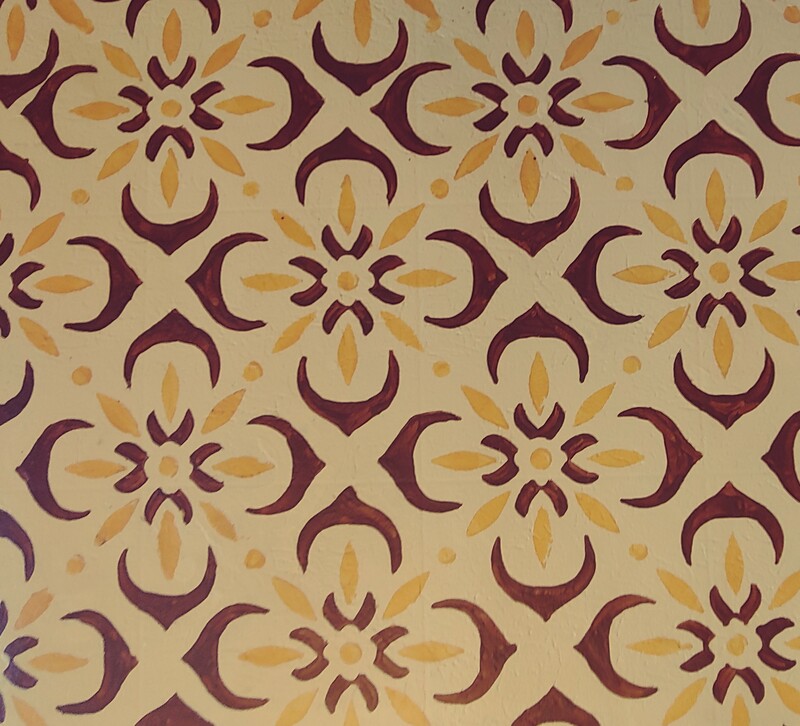 Thin uniform applications are extremely important over dark colored paints! 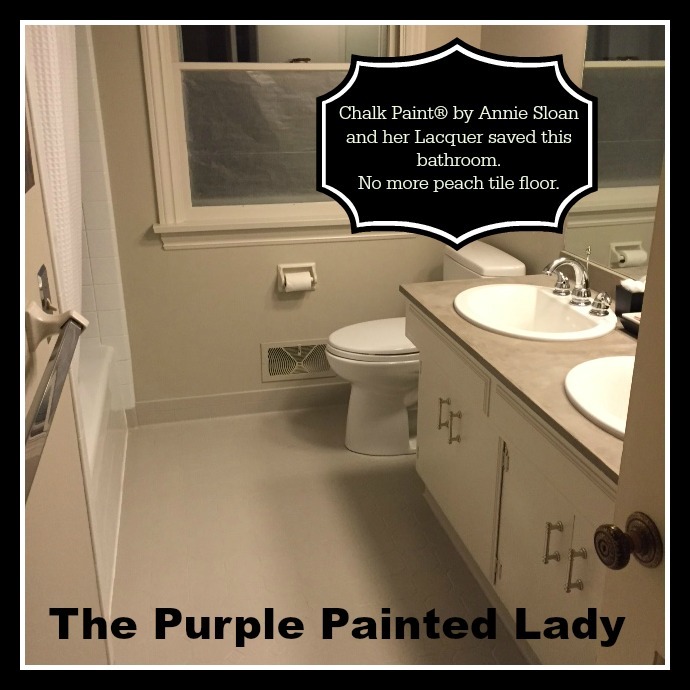 Annie’s Lacquer is perfect for floorcloths … non-yellowing, flexible, durable, scuff-resistant … a great addition to Annie world! 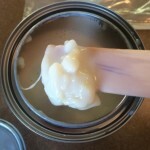 All water-based clear coat products will be look milky or translucent while still wet. I’ve seen blue, pink (see photo to right), and yellow undertones in the wet mix across different product lines. This shouldn’t really matter, though, because if applied properly the milky appearance and any undertones should disappear once dried. 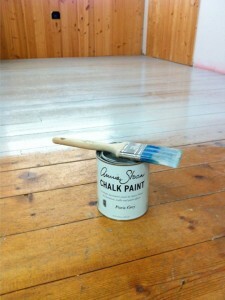 I find that the Lacquer will often have a milky white-blue hue to it before using. 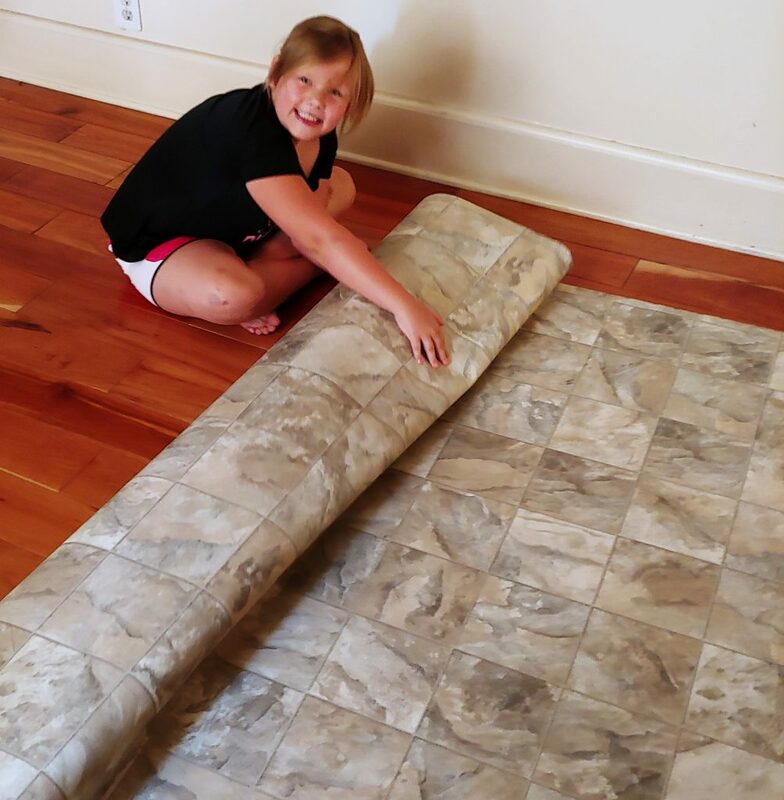 It dries quickly – but allow your floor or furniture piece to cure overnight before using. And even then- do not drag furniture across a freshly painted or sealed floor. Recruit some strong help and carry or lift pieces into place. An average coating needs to dry 1- 2 hours BUT if it has been rainy or damp where you live- this will take longer before another coat can be applied.. Do not try to rush it. There is chemistry in paint products and it is going to take all the time its needs, no matter how impatient you are!!! Leave it overnight to “cure” before walking on it. And initially- only walk on it in socks- NOT stilettos (high pointy heels) or hard soled shoes. Give the Lacquer a couple of days before the kids ride the big wheel across it too and again, DO NOT DRAG furniture. Carry and place it in position! Lacquer is a very strong and durable product but this finish needs enough time to cure (water-based products typically need 14 – 28 days to cure). If using in a bathroom environment, always wipe up standing water from shower or bath. I recommend this too if you have a wood floor. The Lacquer when applied properly, will slightly darken the color beneath it with a matte finish that has a slight sheen to give it strength. 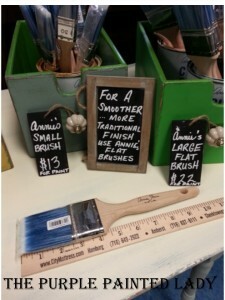 It is impossible for any water-based varnish (Annie’s Lacquer is a varnish) to yellow. 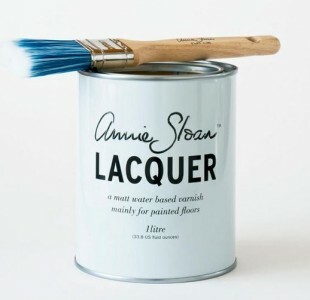 However, Annie Sloan Lacquer is a strong, penetrating varnish and it has been known to pull up underlying tannins from the wood, causing a yellow staining effect over light colors. This will only happen over wood cabinets or floors and not on every species of wood (mostly pine, oak, and mahogany). This can happen when applied over new unsealed pine/ oak floors or old floors with broken down polyurethane top coat. Lacquer shrinks down into the surface as it dries, pulling any tannins and bleeding stains with it. 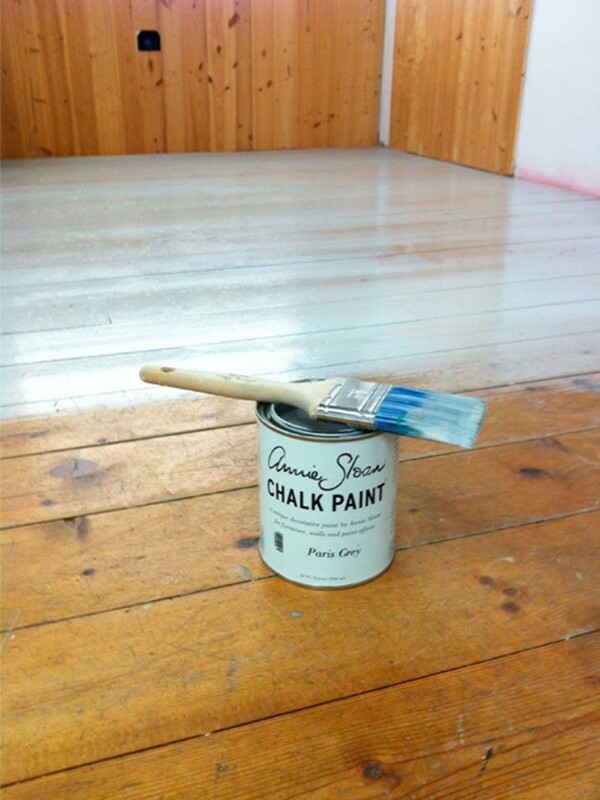 Some may shellac the floor prior and seal it to prevent this bleeding, paint with Chalk Paint®, then apply Lacquer. Is your project on a piece that is pine and oak or mahogany or cherry? You will want to consider applying Zinsser Bullseye Clear Shellac over it prior to painting and sealing it. Bleed through can sometimes happen over certain species of wood when sealing with Annie Sloan Lacquer, particularly pine and oak. 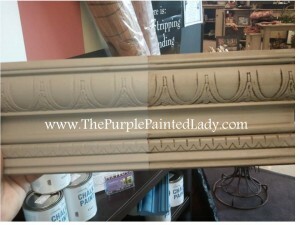 It’s most noticeable when using lighter colors of Chalk Paint®- like Old White, Purple White or Original White. Lacquer is a strong penetrating varnish that “drills down” through the paint layers, giving the finish a lot of strength, but it can also pull out the tannins as it dries. (Read previous note and then) You should apply one or two thin coats of shellac and then repaint and seal. It’s the only way to correct this situation. Wash brushes/sponge rollers thoroughly in water. 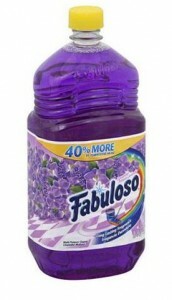 We recommend a product called Fabuloso. You mix it water and you do not let it pool on the Lacquer. 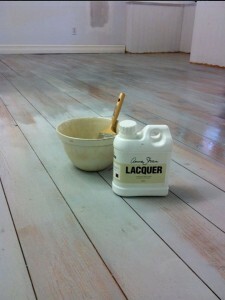 APPLYING THE LACQUER OVER A PREVIOUSLY FINISHED FLOOR? To determine if the previous finish is water-based or oil-based…..just rub a small area with a rag and a bit of mineral spirits. If the finish softens and a bit of color comes off, it’s oil-based. This means- do NOT use Annie’s Lacquer. 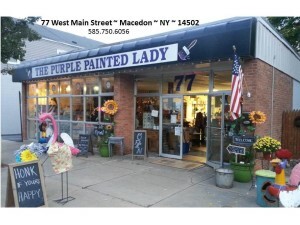 A general rule of thumb … if stored properly one to two years … which is typical for most water-based clear coat products. 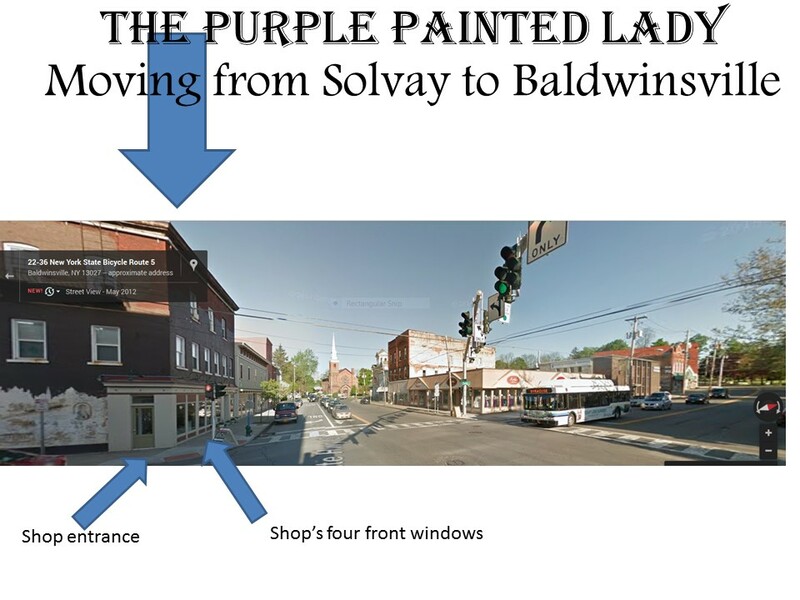 The Purple Painted Lady LOVES seeing “before & after” photos from her customers! And in fact- we always send a thank you gift if we use your images and story. 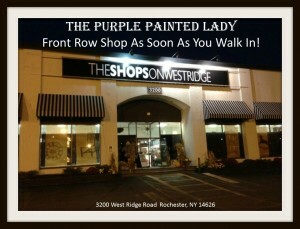 So, please feel free to share your photos and a little write up by emailing them to Trish at takuntz@rochester.rr.com! Remember to include a few details of your project, any tips/tricks that you like to do that help you, or even something you learned through the process that another person could benefit from!